December 2010 | To Be, To Be. Tutubi. The Ladao family wishes you a Happy New Year! May you and your family be blessed with new hopes, new dreams and new beginnings! 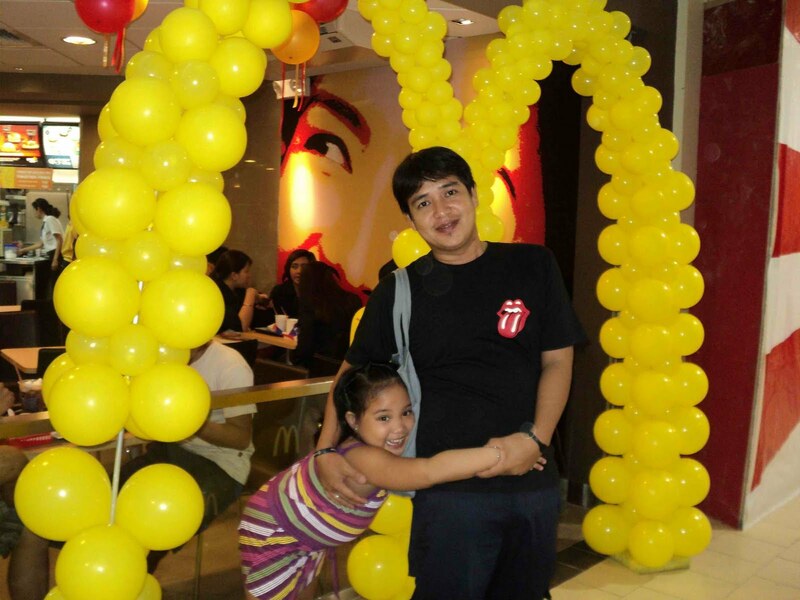 For our thirteen years anniversary, we opted for a simple family celebration. 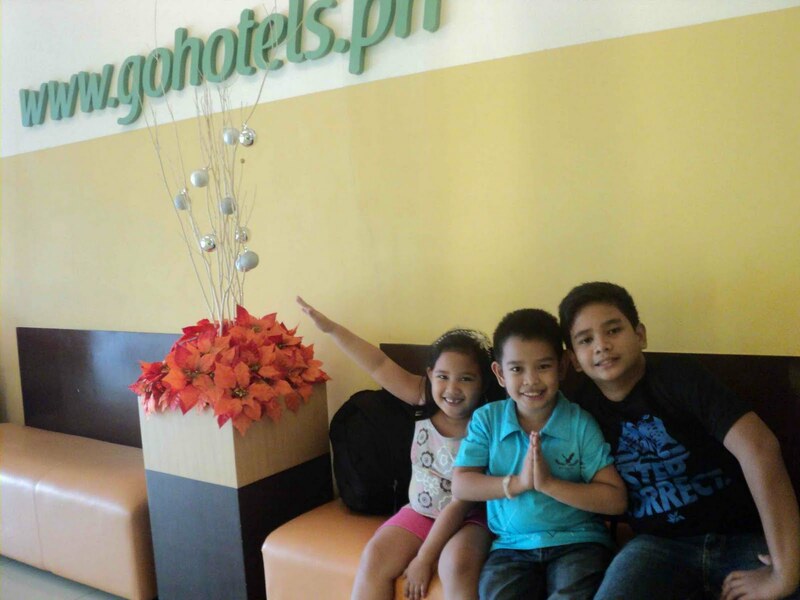 Several months ago, I booked us a room for an overnight at Go Hotel in Pioneer in Mandaluyong. 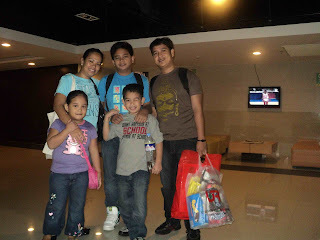 Then, since my husband was already on leave but he had to meet somebody, he dropped off the the kids at my office. At the office, we had lunch with my friends and then I took the afternoon off and we went to check in at the hotel. 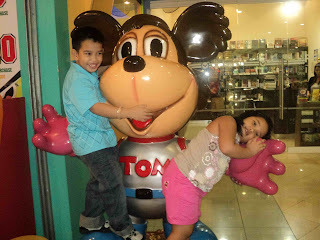 My husband followed us there and then we went malling the Robinson's Forum. The went window shopping at furniture shops and ogled the home furniture. 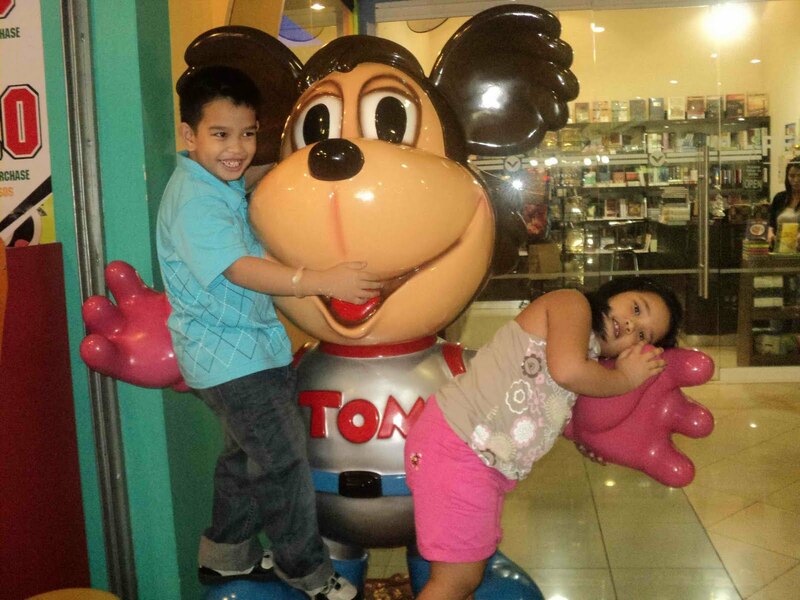 We went to the department store for some last minute shopping and then we went to Toms World where the kids played for some time. Then we had dinner at Chowking because we wanted noodles for longer life and then we went to the supermarket to buy some water and snacks. Then we went back to the hotel to watch TV and for the kids to enjoy the free wifi. It was a simple family celebration and we enjoyed it immensely. We strive to raise our kids to know about the importance of family and we hope that by these kinds of family affair, they do realize what they have. It was also an early Christmas celebration for us and our thirteenth year anniversary was indeed memorable! We married very young and like most young couples, we struggled a lot. There were times when life was so hard, we almost wanted to weep and just give up. But there was never a time that we gave up on each other. I really feel lucky to have married you. With you by my side, I know that life may not always be sweet, but it sure will always be exciting! Happy 13th year anniversary, sweetheart! I look forward to spending the rest of my life with you. 1. That my family is complete and together. I feel so sad for those parents who are not with their kids and families during this season. 2. For the gifts, both big and small from my friends because the show how they love me. 3. For food and lots of parties because Christmas is indeed a time to be thankful for all these blessings. 4. For my husband, for loving me, just the way I am. 5. For my kids, for kissing me goodnight. This is priceless really! 6. For my mother and my sisters for their unconditional love and support. 7. Even though we have not much money, we are still able to enjoy the holiday and experience new things. 8. For running and the high that it gives me. Especially thankful when I am running with my husband and we get to talk about little things. 9. 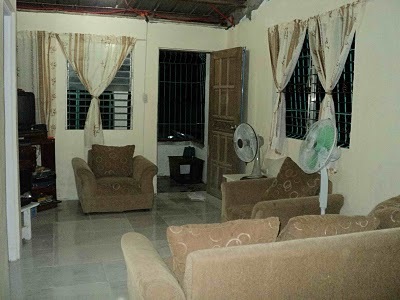 For the house in Montalban, because it gives affirmation to our loves that we can do anything if we set our minds to it. 10. For the blessings that the Lord has blessed me with and all the trials that comes along with it. On how this idea came to be and for credit on the image, check here. When I entitled my blog To be To be Tutubi, I was hoping for it to be different and catchy. However, I am using blogger and while it is user friendly, I cannot design a logo of my own. I was hoping for an original dragonfly (Tutubi) logo, but I don't know how to make one. I think that I need the help of Logo Designers to execute what I have in mind. The one that I am using right now has butterfly instead of dragonfly and while it can also suit my need, I still wish for a logo for the latter. Anyway, the To be To be portion of the blog title can mean that I am trap in a cocoon and still unsure of what I might be so a butterfly can really be okay too. I envy those who know how to design their own blog from scratch and can make their own logos. For those like me who are still learning a lot of things but would love to make their blog stand out, then these designers are still my best bet. I just hope that they can really capture what I have in mind and that the logo fits my blog! I Won at Life Cant Wait! I won Third Prize at Life Cant Wait and I am so thankful to Mizhelle for this Christmas Gift! I will receive a total of S$10, and 10,000 EC Credits and one month 125x125 ad space from 6 wonderful blogs! Thanks again to all! Its only five days to go before Christmas and the city is so busy and full of people doing their shopping, attending parties and eating lots of food! I havent even shopped for my friends and families yet! I have no more time to visit bazaars and so I think I will just give them their gifts after Christmas. I am so tired already and I just wish that instead of being this busy, I can just say goodbye to the city and spend the holidays with my loved ones, even just for the weekend! I wonder how much are villa rental in nearby resorts? 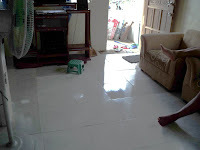 We were in my sister's house last weekend and the kids enjoyed the time with their cousins very much. 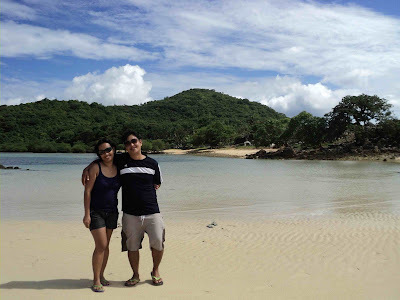 I am sure they would love it more if we all stay in a resort and just leave the bustle of the busy city for a while. I need to re-charge and I hope that I can do this before work resume next year. Of course, our wedding anniversary is in two days so I hope my husband can read this and get my wish for a gift, ha ha! And it doesnt even have to be just the two of us because I want my whole family with me! 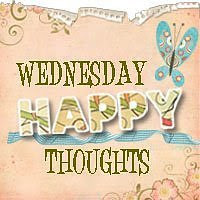 Its Wednesday again and another day to count our blessings! 1. The beautiful, beautiful house below that is the product of our hard work! 2. 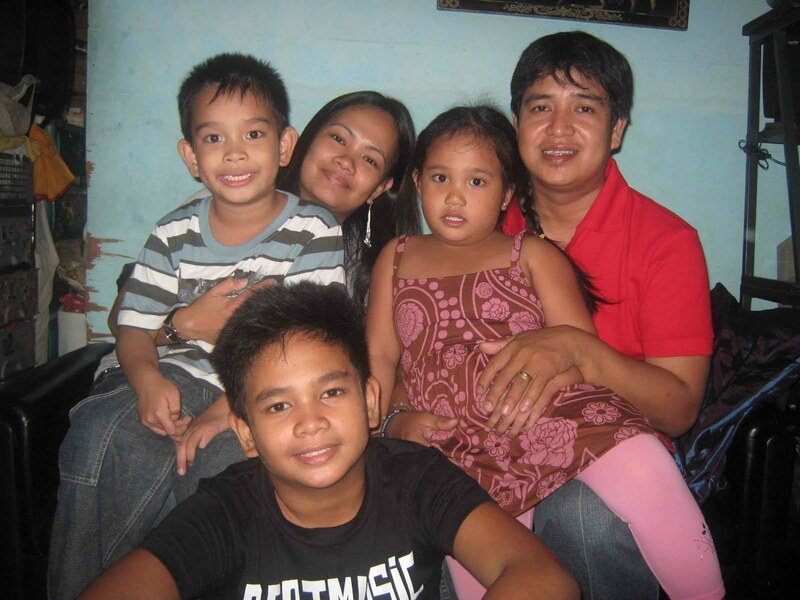 The good health of my family. 3. The Christmas gifts from friends and business contacts, the brownies, the cakes, the cookies, the wines, the list goes on! 4. 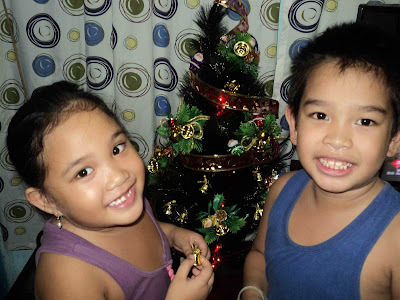 The joy of putting up Christmas decors and the happiness that it brings to the kids. 5. The simple joy of giving. 6. The salvation that God promised. 7. The anticipation of our 13th years of being married. 9. Finishing the office giveaways early. 10. For being alive and being able to appreciate it all! 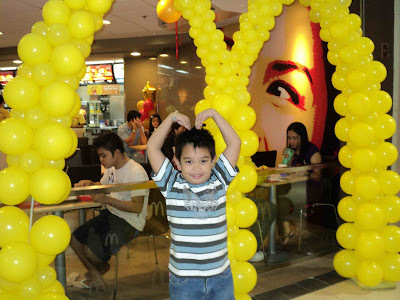 These mellow yellow pictures were taken last November when we had a family dinner to celebrate Danniel's 8th birthday. 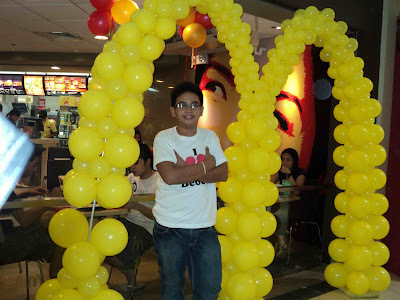 This new Mc Donalds store caught our attention because of the yellow balloons to make the M arc. So we took pictures! The last picture if of my daughter and her dad clowning around! Have a fun Mellow Yellow Monday everyone! This is our 3-feet Christmas tree, our first family tree. We usually just hang lights and lanterns but this year, my husband wanted a tree. I think we have just started our own Christmas tradition! And to think I have not bought any gifts from my lists for this year yet. I will be giving lots of educational books as gifts this year. My kids and my sister decorated it, while Drexelle and I bought it. Its small, but we like it so much! We like to think that our tree is small yet filled with love and gratitude for the year's blessing. 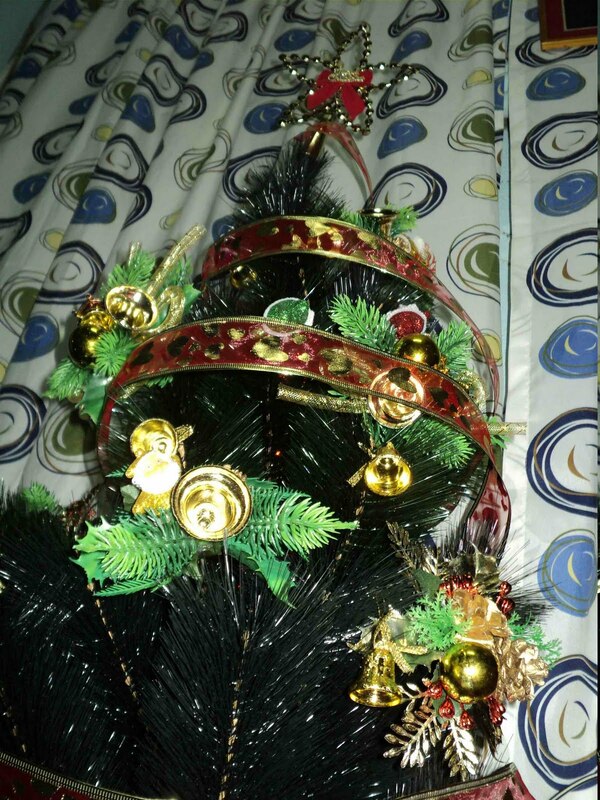 So, how is your Christmas tree? 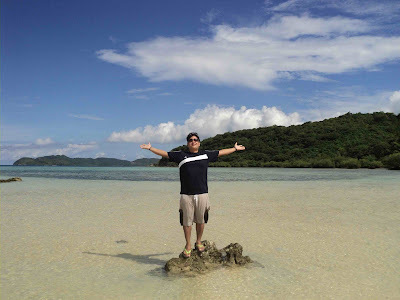 Eto po ang aking kabiyak na nagpakuha ng litrato sa bato sa gitna ng tubig sa isang isla sa Coron. Sobrang ganda kasi ng lugar at sana ay nakikita nyo ito sa kanyang likuran. Ganyan ang pose niya kasi laking pasasalamat nya sa Diyos at nakarating kami sa ganito kagandang lugar! I am turning 34 next year and my passport has yet to get a departure stamp. So second on my Christmas wish list is an out of the country trip. I would love to go on a uk break with my family. Of course, this may not be within my budget right now but we can dream right? And it is really a dream vacation for me. I want to stay at this country side lodge where my boss stayed some years ago. She was telling me that it was really very homey and very relaxed and the kids would love the English country side. It was straight-from-the-book kind of place for her and I want to stay there too. I would also love to visit historical places in the UK, and visit parks and museums and go shopping too! I am sure would love to see these places that they have only seen in movies. I know that we have to save a lot for this and it may take us years, but a dream is a dream and somehow, we can make it happen! So if anybody out there is reading this and wants to share their blessings by making a family very happy, then why don't you gift us with a family trip to UK? Hint, hint! Christmas is really just around the corner and decors are all over the place! 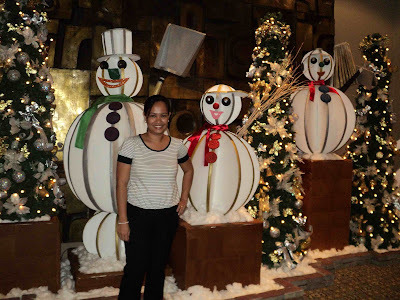 This was yours truly taken during our Christmas party at the Crowne Plaza Galleria Manila in Ortigas. I love the snowmen and the mellow yellow lights! 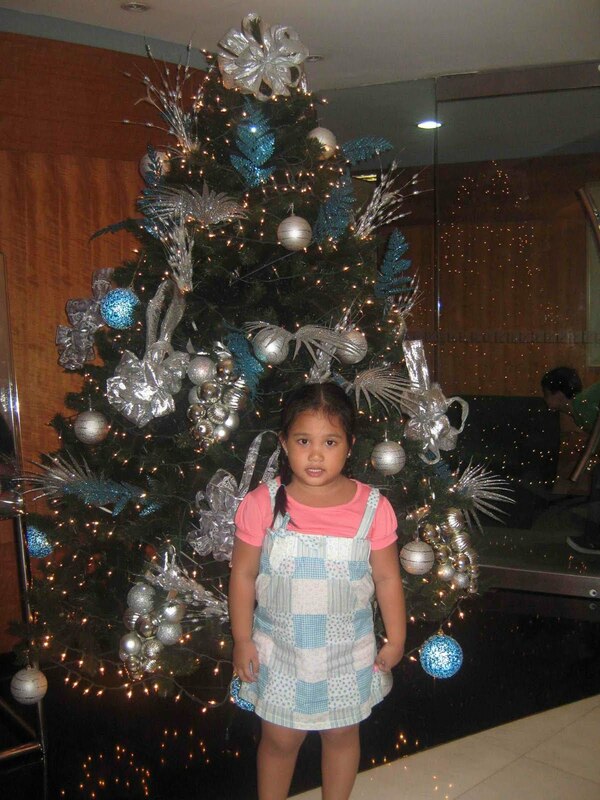 18 days before a Happy Christmas everyone! 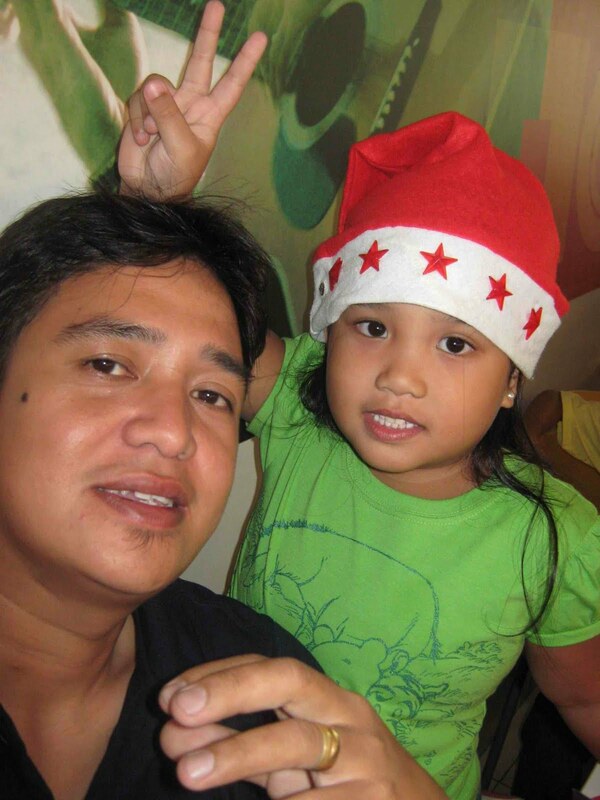 These were our photos last Christmas. This one is Ishi with her Daddy during her Kinder class Christmas Party at Jollibee. This next picture was taken at my office lobby when I brought her with me to work before Christmas. Danniel and Ishi both wanted to come with me to work but since I cannot manage with both of them and still do my job, I brought them one at a time. 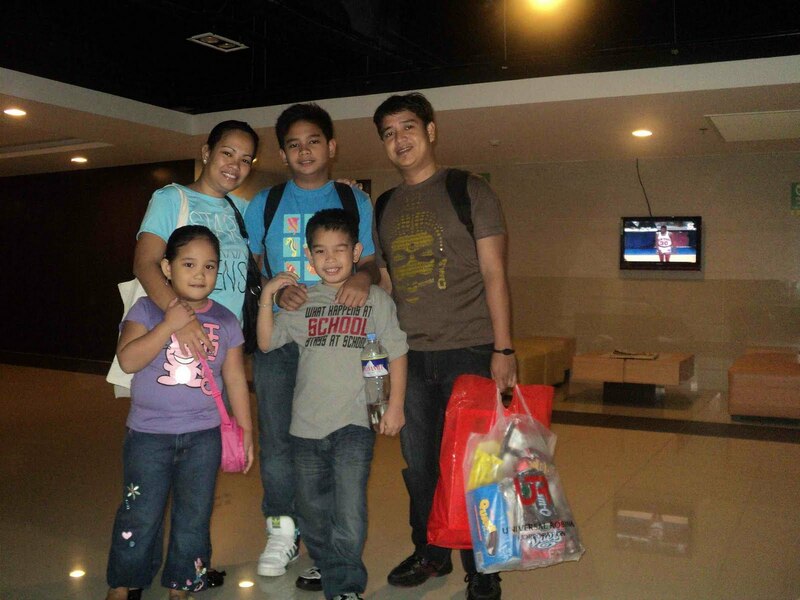 Ishi was with me on December 21 and Danniel on the following day. 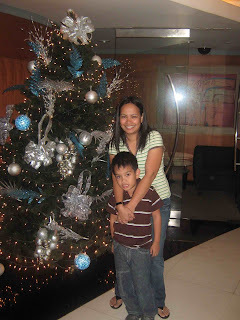 This was taken at home after we went to mass on Christmas eve and before eating our noche buena. 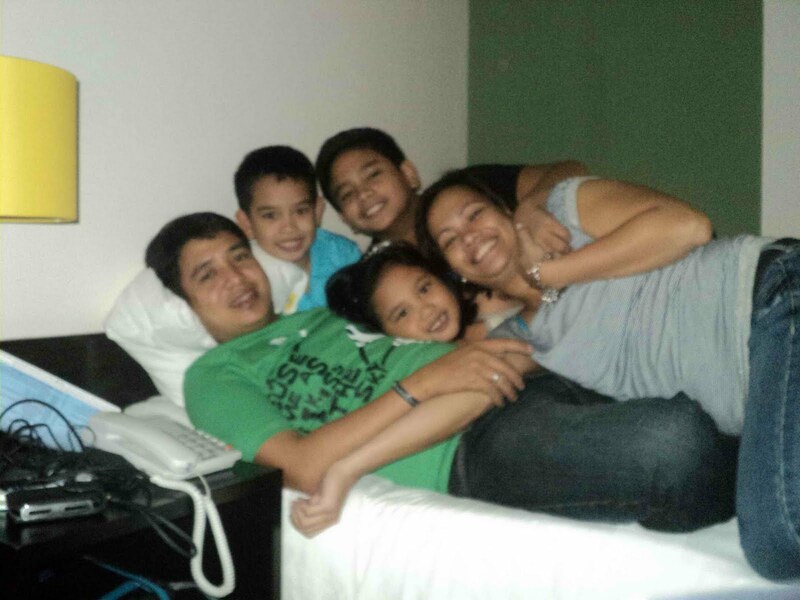 With my family around me, I feel so blessed and content! 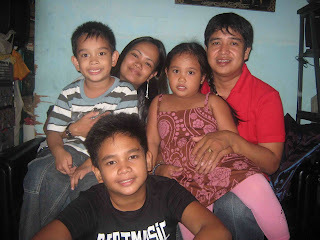 I know that my family is lucky to be together during this time and I consider it one the Lord's greatest blessings. "Let us rise up and be thankful, for if we didn’t learn a lot today, at least we learned a little, and if we didn’t learn a little, at least we didn’t get sick, and if we got sick, at least we didn’t die. So, let us all be thankful." 1. Slowly but surely building the dream house. 2. Thirteenth month pay and paluwagan for Christmas monies to build the house! 3. Christmas gifts starting to pour in! 4. Christmas parties: good food, great company, great prizes! 6. Butterfly kisses from the kiddos! 7. The kids saying that they missed you and they cant sleep when you are not at home. 8. Doing a 5km every lunch break. 10. Life in general and love all around! To see how this meme started and for credits on image, check it out here.